The year was 1735. Mother Leeds was expecting her thirteenth child. Burdened by too many children, Mother Leeds wishes that her thirteenth child be a spawn of the devil. Some local women help deliver the baby one stormy night and she gives birth to a beautiful, healthy baby boy. Suddenly, the baby starts to change before the women’s eyes. The baby grows wings, hooves, and a tail and turns into a hideous animal. The beast lets out a blood curdling screech and escapes through the window. Commodore Steven Decatur, a Naval Commander, was testing cannons at The Hanover Iron Works. When he spotted The Jersey Devil, he fired a cannonball at it. The cannonball left a huge hole in the creature. The Jersey Devil was unfazed and just flew away. Also in the early 1800’s, Joseph Bonaparte, son of Napoleon, spotted The Jersey Devil near his Bordentown estate while hunting. During 1840-1841, there were numerous reports of raids on sheep and chickens. Strange tracks were discovered at the scene of these raids and there were reports of a piercing scream. In 1899, there were raids in Vincentown and Barrsville. Again, many sheep and chicken disappeared. It is believed that the birthplace of the Jersey Devil is the Shroud’s house in Leeds Point. People who try to find it have a hard time because only the foundation and some rubble are left. 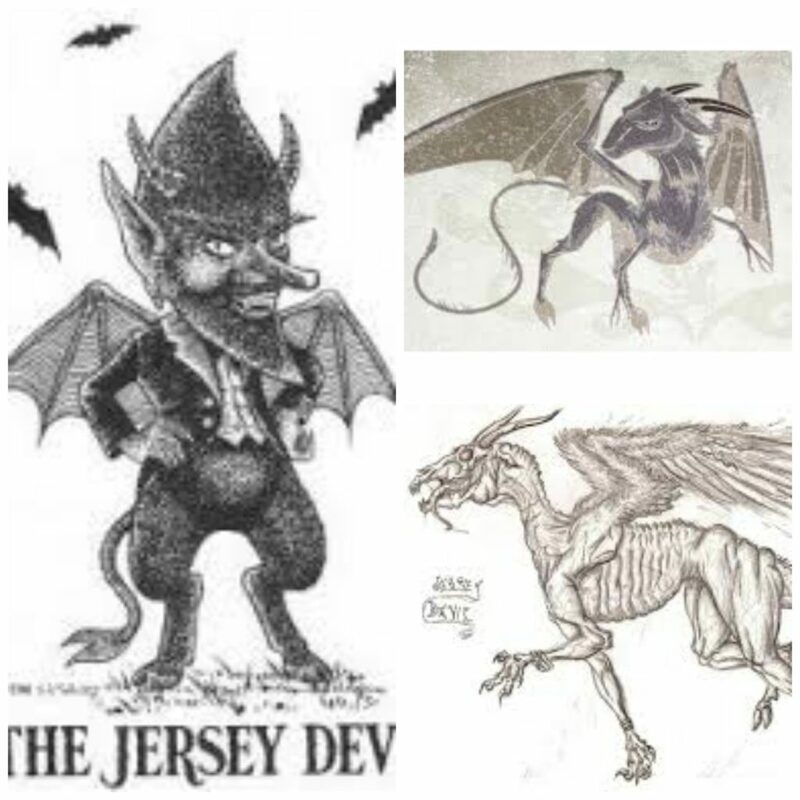 There are many different theories related to the Jersey Devil as well! Many people believe that the Jersey Devil is just folklore and that the events of January 1909 were caused by mass hysteria. Some people believe that Mother Leeds gave birth to a deformed child and the women who assisted her in childbirth started false rumors about the baby. Others believe that the Jersey Devil is of supernatural origin and that it is a harbinger of wars or other disasters. 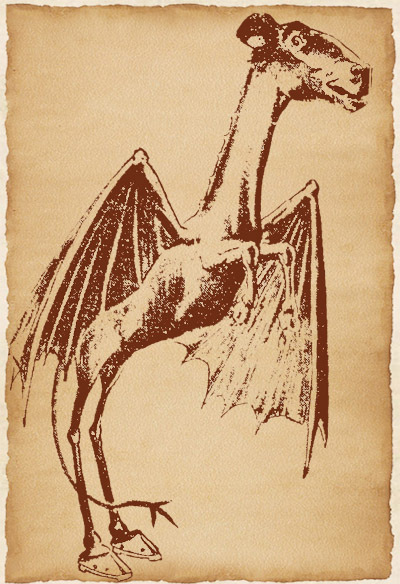 Some scientists think that the Jersey Devil is actually a family of pterodactyls that have survived since prehistoric times living in an underground cave. Whatever the origin, it seems that the legend of the Jersey Devil is here to stay. Have you heard a story about the Jersey Devil or have you seen him yourself? Tell us about it! This entry was posted in Smithville Fun Facts, Uncategorized and tagged Colonial Inn, Historic Smithville, Jersey Devil, Leeds, Leeds family, Leeds point, New Jersey, Smithille, Smithville NJ, South Jersey Folk lore. Bookmark the permalink.